Buy a pair of shoes from our online store and get a FREE cinch backback and set of LaceLockers. You will also be entered in a raffle to WIN a "Ragged Mountain head to toe package!" 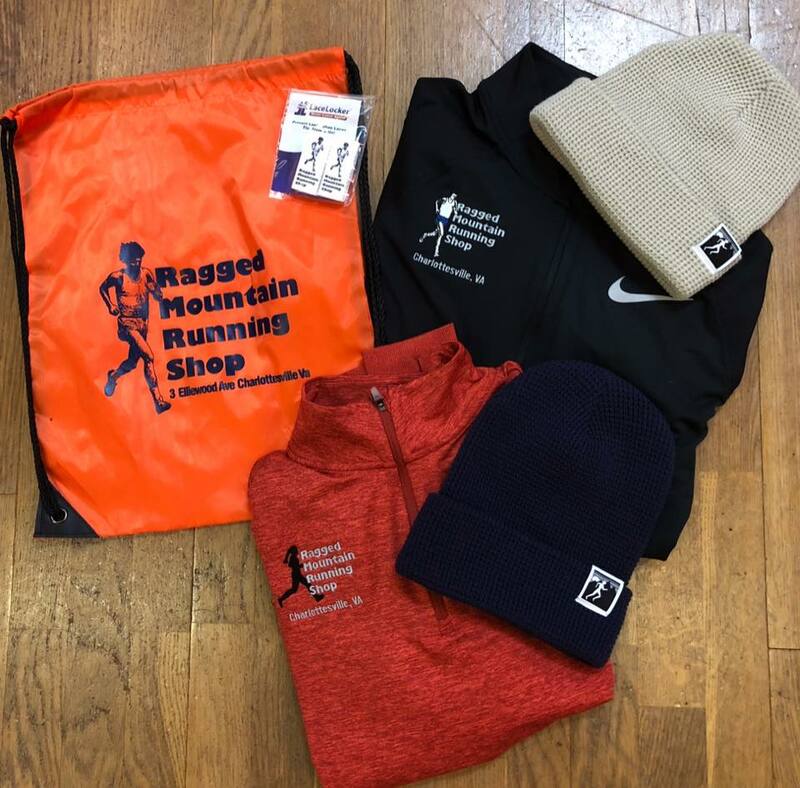 Package which includes a FREE Ragged Mountain long sleeve half zip top and a Ragged Mountain knit hat! Use promo code CYBERMONDAY for 20% off online orders. 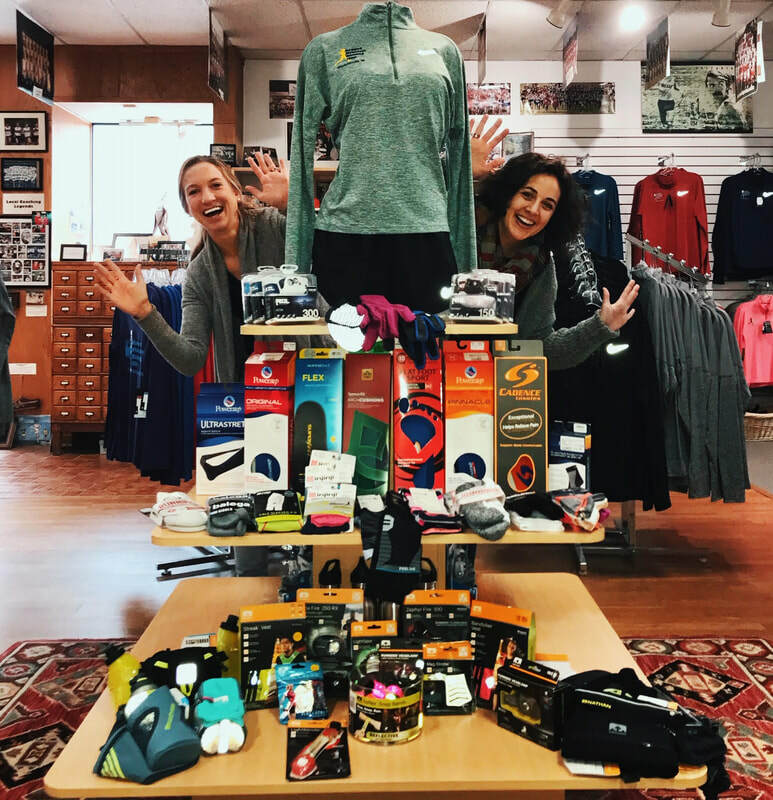 Thanks for shopping with our Ragged Mountain family this holiday season. Your loyalty and support means so much to us as we strive to provide you the very best service and prices. And in doing so, we continue to pursue our ongoing 37 year mission to be the best community neighbors possible! FREE Ragged Mountain Lace Locker with your shoe purchase! FREE Ragged Mountain cinch backpack with kids shoe purchase! Choice of FREE pair of winter technical running gloves or sticky wallet with Garmin purchase! 30% off these items with 1 shoe purchase! 40% off these items with 2 shoe purchases! 50% off these items with 3 shoe purchases! In a pinch and can't get by to see us? Let us quickly SHIP you whatever you need, from Shoes to Garmins to Gift Certificates. All the same discounts apply to shipped orders! Use Coupon Code cybermonday for 20% off ONLINE ORDERS! Or call 434.293.3367 or email alec@raggedmountainrunning.com.